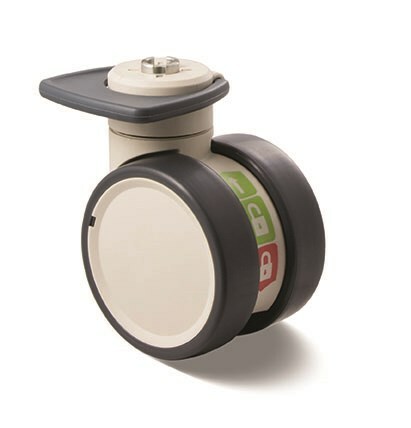 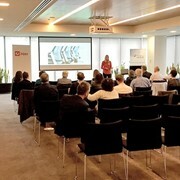 Designed for patient transport, Trinity castors are renowned in the healthcare industry for their innovative three-in-one brake function, fixed brake pedal position and high dynamic load rating. 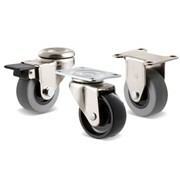 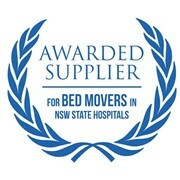 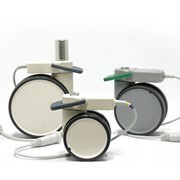 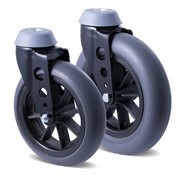 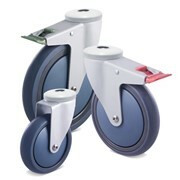 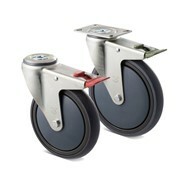 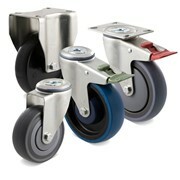 Trinity hospital bed castors have brake pedals that do not swivel with the castor, so they're always within easy reach. 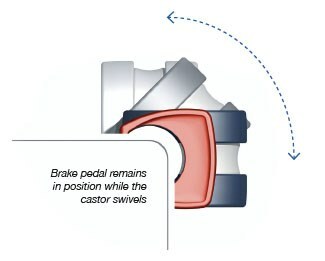 Three brake positions in one. 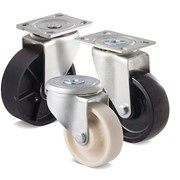 The advanced braking system provides three brake funcions—total brake, directional lock and free swivel—controlled by soft touch actuation pedals. 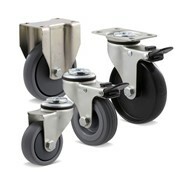 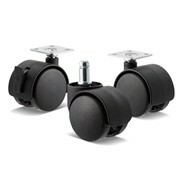 Castors available with 12mm and 1/2' threaded pintles as well as plate mounting. 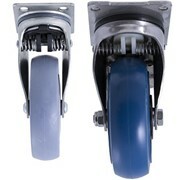 Expanding and tube fittings options for the 12mm pintle available.